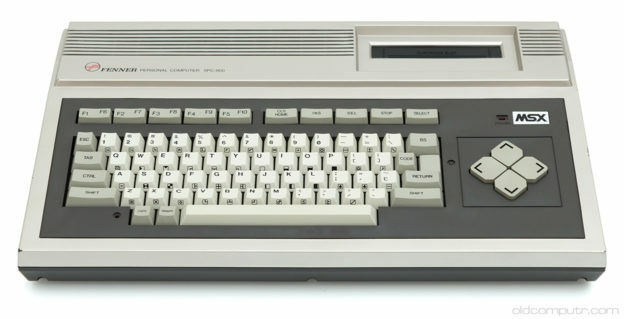 Samsung made only one computer that was compatible with the MSX standard; it was rebranded and sold in Italy by Fenner, keeping the existing model name. 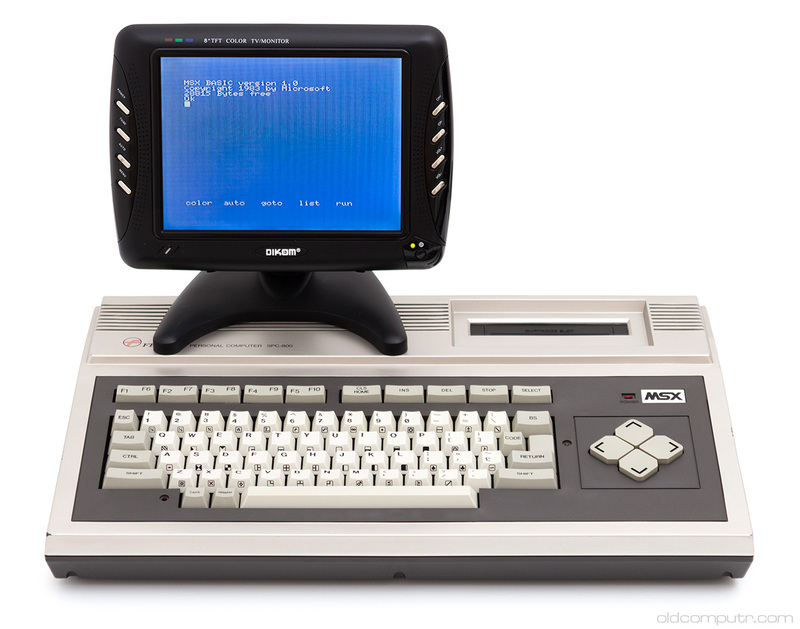 There are two revisions of the Samsung SPC-800; the Fenner computer corresponds to the second revision of the South Corean model. Fenner, founded in 1981, marketed low-end consumer electronics (like car radios, DVD players, TVs). The company went bankrupt in 2012. I bought this computer for a handful of euros at the usual flea market that I attend once a month – the only one in my area. I often come back home empty-handed but sometimes my constancy is rewarded with some interesting object, even if never particularly rare. The Fenner was only a bit dusty and dirty, so as usual it was disassembled, cleaned and photographed. Cleaning the keyboard is quite boring, but it’s always worth it. The difference between the clean key and the dirty keys is remarkable! 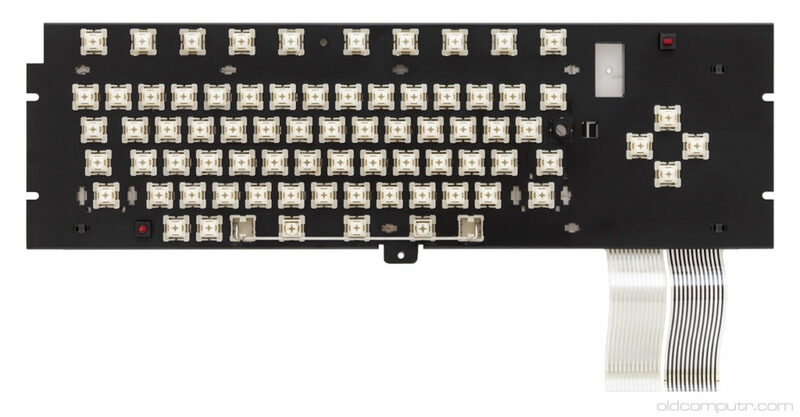 I didn’t fully disassemble the keyboard because all keys worked fine. Inside the case you can see the power supply section, the RF modulator, and the motherboard. The only “problem” of the computer was a partially unsoldered composite video connector, obviously fixed by welding it back to the board. I didn’t understand what the object in the lower right was, the one soldered with a cable to the cassette port. I asked my friend Xad who explained to me that it is the relay for the tape recorder remote control. On the right side there are two joystick connectors and the printer port. 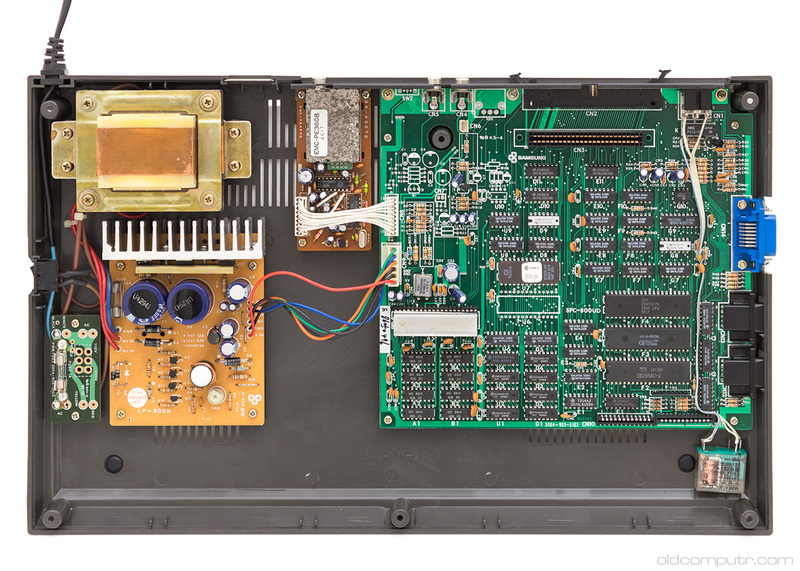 On the back there are the cassette connector, en expansion bus, two RCA connectors for mono audio and composite video, and the RF connector. Final test after reassembling the computer. The TV shows the default BASIC startup screen as shown when you turn on the machine. 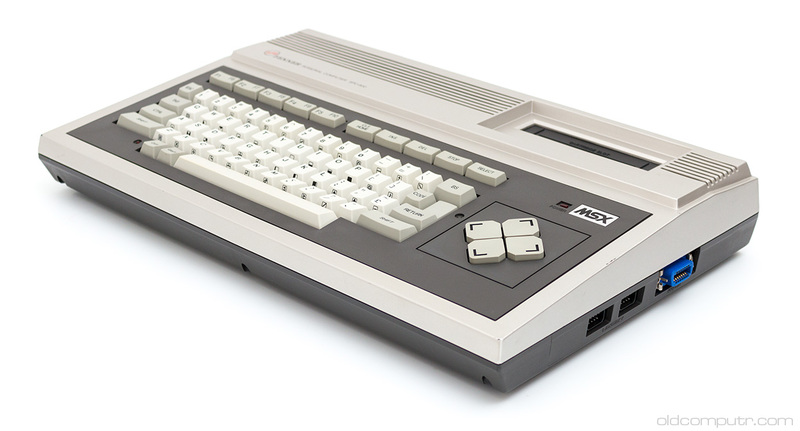 That’s a beautiful MSX machine! Judging by the cable, layout and solder joints, it looks like the electromechanical relay is a repair by a previous owner. The part number isn’t visible, but the plastic package behind the tape DIN socket looks like a reed relay, and that’s where I’d expect to find it on a board. Either the reed relay died and was bypassed by the previous owner to install the electromechanical one, or an *additional* relay was fitted — the MSX tape socket has a few spare ground pins someone could abuse for device control. 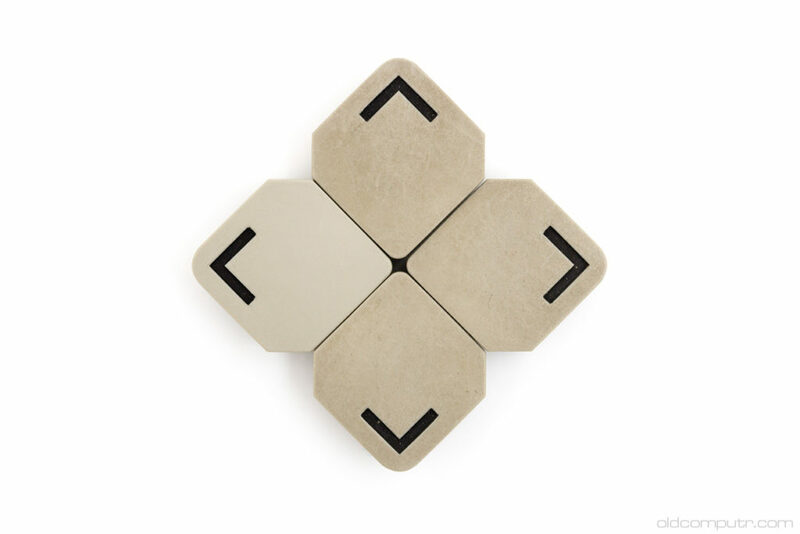 What puzzles me is who would need the remote control relay so much. I never bothered connecting it myself. Maybe they did a lot of file I/O? When I published the pictures on a facebook group yesterday, a person commented “I always wondered if the relay was a repair – mine is identical”. 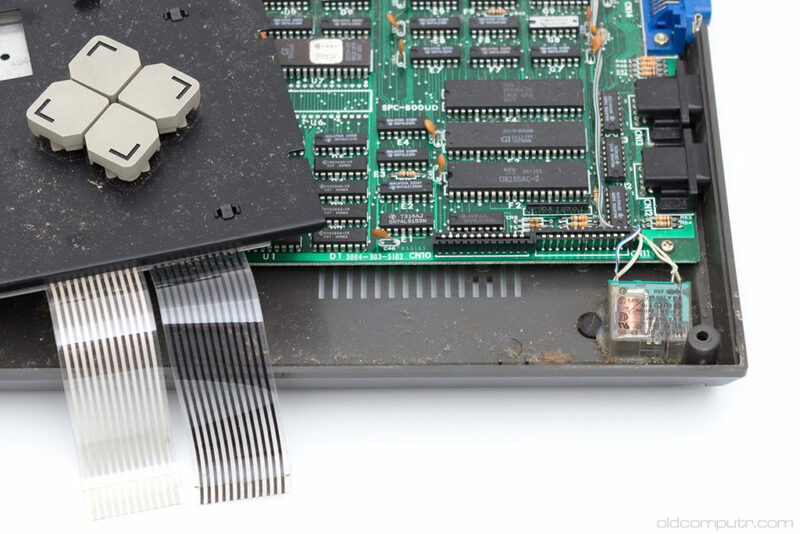 Even the pictures on msx.org show the “external” relay. So I’d say that it came out like that from the factory. I built a 6502 Kim type system using tape as storage medium. Relay was nice when there were a lot of programs on one tape. It was an easy way to read the cassette and build an index of at what counter number a program stated and ended. 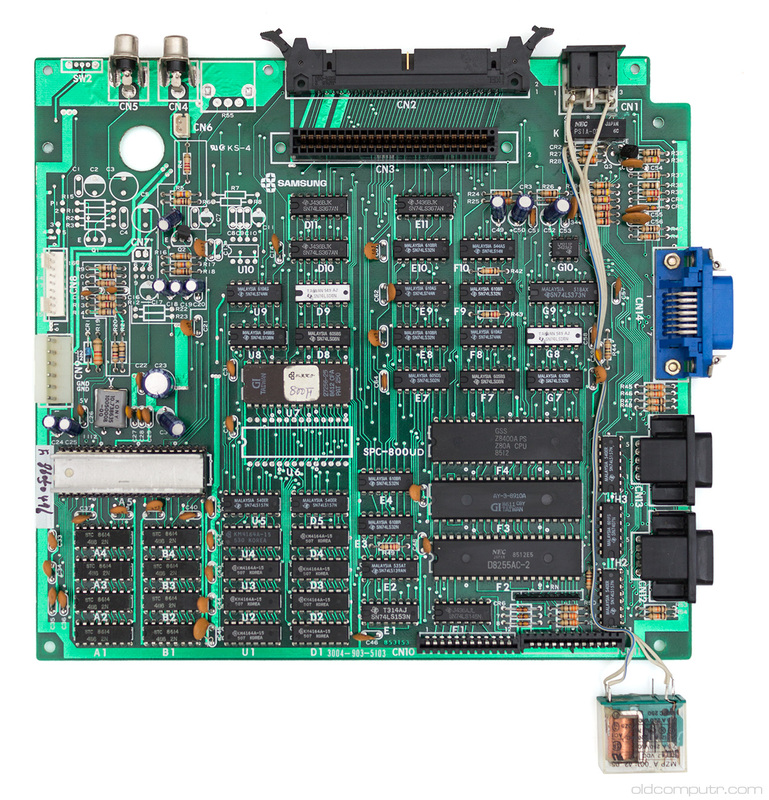 And when I was only using battery to power the board and cassette to conserve power so the player didn’t run any longer than necessary. Eventually created a program to have the cassette started and stopped under computer control to make it more like its bigger brothers.